This illustrative tract presents the gospel by connecting each element of the popular Christmas candy with a related Scripture reference. Long ago there were two villages in a distant land. One was in a valley, and one was on a mountaintop. The people in the mountain village wanted to give each person in the valley a Christmas gift. So the mountain townspeople formed a committee to think of something special. Money was limited, and each gift had to be of equal value to each person. After much time and discussion a decision was finally reached. The town’s candy maker, an elderly gentleman who had loved Jesus for many years, came up with an idea—the candy cane. Now, you may be thinking, what is so special about a candy cane—and how can it ever be tied in with the real meaning of Christmas? Continue reading to find out how and why! 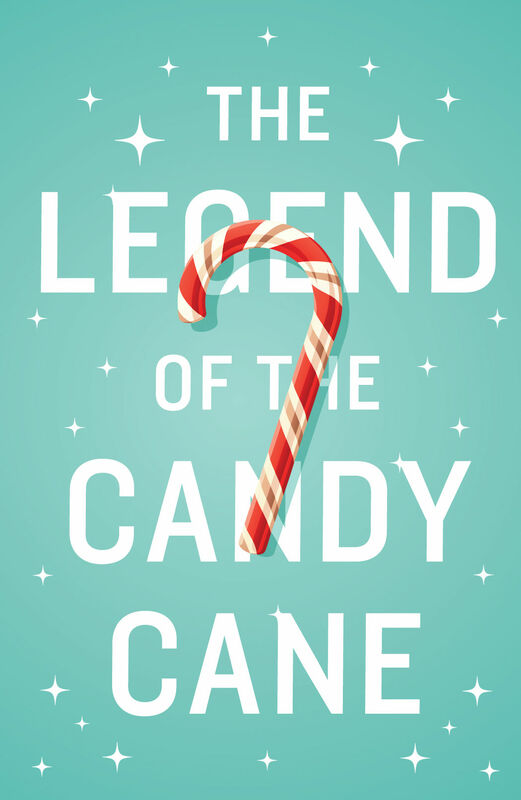 2 The candy cane has a “J” shape—the first letter of Jesus’s name. In the Bible, an angel came to Mary, the mother of Jesus, and said, “‘Do not be afraid, Mary, for you have found favor with God. And behold, you will conceive in your womb and bear a son, and you shall call his name Jesus’”(Luke 1:30–31). 3 The wide red stripes on the candy cane represent the blood Jesus shed on the cross for each one of us so that we can have eternal life through him. He restores us and cleans us with his shed blood—the only thing that can wash away our sin (Ephesians 2:13). 4 The white stripes on the candy cane represent Jesus’s virgin birth and his pure, sinless life. He is the only human being who never committed a single sin, even though he was tempted just as we are. “He committed no sin, neither was deceit found in his mouth” (1 Peter 2:22). 5 The narrow red stripes on candy canes symbolize Jesus’s stripes, or scars, which he got when he was arrested and whipped. The Bible says we are healed (of sin) because he took those wounds (Isaiah 53:5; 1 Peter 2:24). 6 The flavoring in the candy cane is peppermint, which is similar to hyssop. Hyssop is of the mint family and was used in Old Testament times for purification and sacrifice (John 19:29; Psalm 51:7). 7 Candy canes are made of hard candy to remind us that Christ is the “rock” of our salvation. “He [Christ] alone is my rock and my salvation, my fortress; I shall not be greatly shaken” (Psalm 62:2). 8 AND, if we share our candy cane with someone else because we love that person, we are sharing the love of Jesus (1 John 4:7–8). God gave himself to us when he sent Jesus to earth to save us. He loves us so much that he wants us to spend eternity with him. We are assured of that eternity when we trust and believe in Jesus as our Savior (John 1:12; John 3:3,16). REPENT and ask God to forgive you. Trusting that Jesus came to save you from sin should cause genuine humility and remorse for the things you’ve done wrong. BELIEVE that God showed his love for you by sending his only Son Jesus to take away your sins. PRAY Dear Jesus, I know that I am a sinner and need your forgiveness. I believe that you died in my place and rose from the grave to pay the penalty for my sin. Come into my life as my Savior and cause me to love you and others in a way that pleases you. Thank you for saving me so that I can receive peace and eternal salvation in the new heavens and new earth. ATTEND a Bible-teaching church where you can worship God and meet other Christians. SHARE your faith. You’ve just received the wonderful gift of salvation—tell someone!